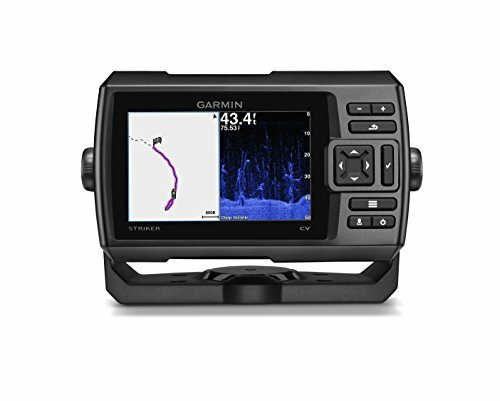 What Makes a Good Side-Imaging Fish Finder? While the mysteries of the sea are abundant, people have created some of the greatest technology to understand what frolics beneath the water. 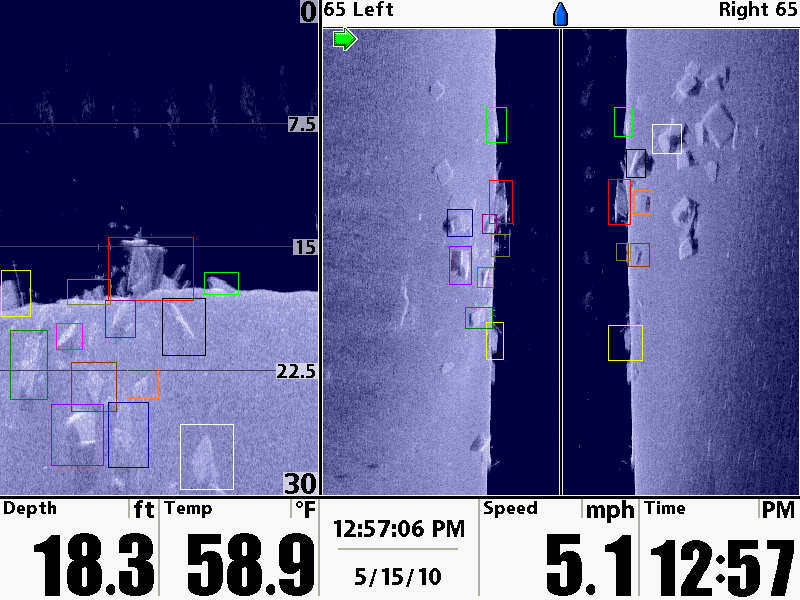 Side-imaging fish finders are a great way to receive sonar generated images, to understand what lurks under the surface. While down-image fish finders are a popular choice, these can reduce the clarity of your images, and prevent you from seeing what’s hiding in bays and creeks. 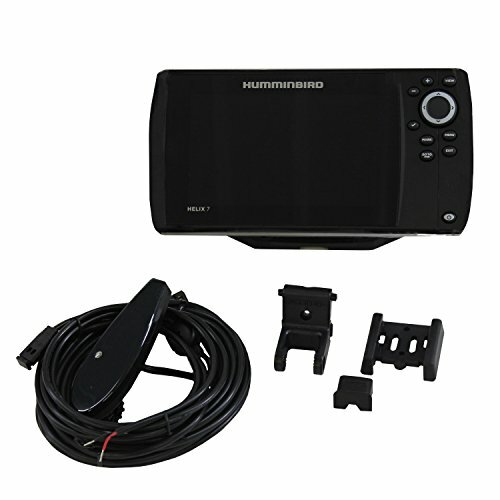 Side-imaging fish finders are an excellent solution to the problem. However, with such ranging costs, it can be difficult to understand which to choose. 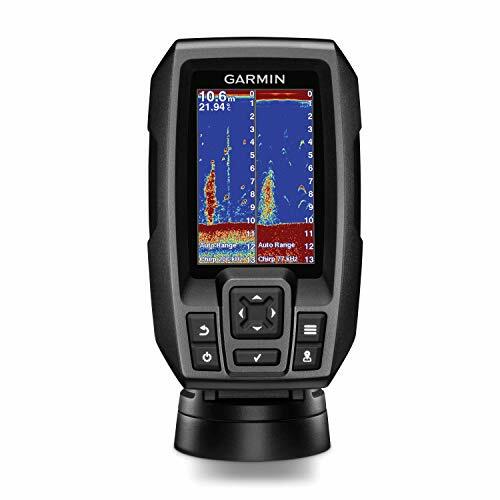 Here is our guide to the best side-imaging fish finder available today. For those looking to find fish, understanding whether to buy a down or side-imaging device can be confusing. The direction that the sonar waves are emitted by the device determines whether it is categorized as a down or side fish finder. Down-imaging fish finders emit sonar waves in a downward action below the boat, whereas a side-imaging fish finder will direct its sonar waves from the sides of the boat. The type that suits you usually comes down to preference and can depend on the type of fish you’re looking for. Some fishers use both. 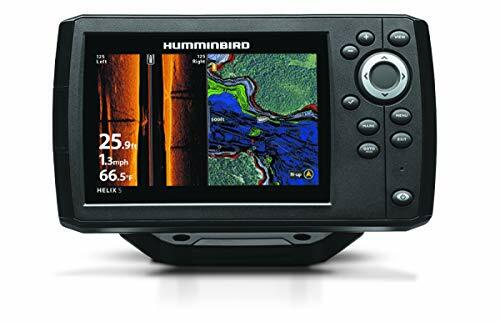 The main advantage of a side-imaging fish finder is that you can scan the water quicker as it looks in several directions at once, covering more ground. This gives you a more comprehensive picture of the marine life and allows you to more easily see fish hidden below bays. The downside is that they tend to be more expensive than down-imaging devices and they provide a less clear image. They can only be operated when the boat is moving slowly, so you may miss some schools of fish as you travel out. Down imagers tend to be great tools for deepwater exploration and can be used at higher speeds. However, they tend to produce lower-resolution images as they only work from one transducer. You need a transducer for your fish finder. Some models don't come with a transducer, which means you’ll need to buy one separately, driving the price up. The larger the crystals inside your transducer, the louder they ‘shout’ to find fish, and therefore the better results you’ll have. Through-hull transducers provide the best results but you have to cut a hole in the bottom of the boat, whereas transom mount transducers are less detailed but don’t need a hole cut. Fish finders have become very fancy these days. Some have touchscreen interfaces, while others have convenience settings to be of more assistance. Consider the type of interface you’re looking for and how easy it is to operate. Check out reviews to see how difficult it is to interact with the interface. Fish finders often incorporate temperature gauges and GPS. The temperature gauge will help you to understand where fish will be and what type of fish reside in each area. The GPS will help to keep track of location. The accuracy of these two devices can help your fishing yield. Check out reviews to see how beneficial other fishers have found these additional tools to be. Fish finders range in price considerably. While they may start at around $500, they can reach up to $5000. With this in mind, consider your fishing habits, the type of boat you have, the amount you go fishing, and the water you intend to fish on. High-powered technology is very expensive, whereas the amateur fisher can probably get away with using a cheaper product and getting good enough results. With so many side-imaging fish finders flooding the markets, it can be hard to sort the quality tools from the junky gadgets. Knowing what you are looking for is always a great start, while following our guide below will also give you a few pointers into the best side-imaging fish finders out there today. Featuring CLEARVÜ scanning sonar, which works on such a high frequency that it gives images that compare to photographs. This shows objects, structure, and fish. The interface uses buttons rather than a touchscreen, and the mode can come as a 3.5, 5, or 7-inch screen. It includes a waypoint map, CHIRP sonar, and a built-in flasher. Can be a Little Difficult to See With the Sun’s Glare. This model is very advanced and enables you to get an extremely clear picture of the fish activity under the water. A little pricey, this is geared toward advanced fishers. The GPS and sonar tech allow this to be very accurate, super sensitive, and crystal clear, while helping you record data. This 5-inch screen has an incredible display and backlight for night fishing. The portable chirp dual-beam plus sonar technology enables crystal clear pictures and super fast real-time results. An internal GPS has chart plotting software to help build more accurate maps of what you’re seeing, while the portable carrier protects the device. This is an excellent model for an experienced fisher. A little over-complicated for the amateur fisher, this has outstanding technology to give you crystal clear pictures of the underwater life. Be careful with the clips, though as they are a little flimsy. With a 7-inch color screen, this model has a micro SD card slot for saving your maps and data. The software includes Auto Chart and Auto Chart PRO, as well as Humminbird Lake Master and Navionics. The GPS offers an impressive 2500 waypoints as over 50 routes to explore. This model is at the top-end of most people’s budgets but comes with the top software that a side-imaging fish finder can have. With a range of accessories including a cover and carry case, this model could benefit from better instructions. 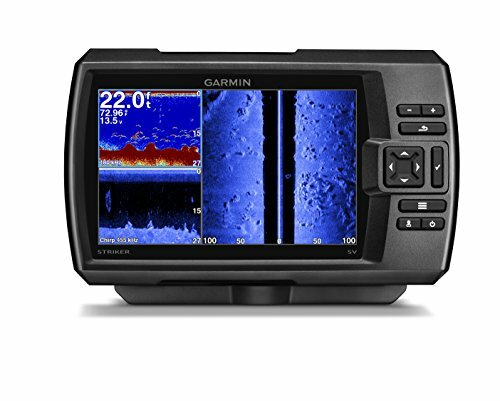 That said, for those who are familiar with side-imaging fish finders, this model is very comprehensive, has a large bright screen, and has sonar software that produces well-defined pictures almost instantly. With a built-in flasher, this model makes it easier to see your sonar data in a simple format. The chirp sonar allows you to beam out continuous frequencies for a better, more accurate picture. The waypoint map allows you to navigate while marking important points, and the clear scanning sonar shows photo-quality images on the screen. This high-quality device combines all the tools necessary to give a clear, accurate picture. The chirp sonar helps to give a crisp picture, while the sweeping frequencies can provide wide imaging. Simple to use, this is great for beginners. With dedicated buttons, this simple to use machine helps to find fish using side-imaging tech and a CLEARVU scanner. The high-frequency sonar can provide photo-quality images of objects and fish, as well as the structure beneath the water. The built-in flasher helps to complement the waypoint maps and GPS, while you can purchase this in 3/5/7-inch screens. Lacking a little in maps, this model is great for a beginner or for someone willing to save their own work. Easy to use and install, this model has a 3-year guarantee and features some of the best software available. You do have to be relatively still to use this device. When you’re fishing, you have an abundance of water spray coming up into the boat. While this may be ‘freshwater’, often it contains a lot of dirt. Other times, you may be fishing in saltwater, leading to a high amount of salt in the air. Both of these things, combined with the grease and oil from your fingers, will dirty the screen of your fish finder. Use a dry, soft cloth like a duster. Gently rub with the dry cloth until all the Windex is removed. If you don’t like chemical products, you can use a mixture of one part white vinegar and ten parts water. Some fishers swear by soapy water in a spray bottle, using a damp cloth to apply, and a dry one to clean it off. Make sure that there is no grit on the cloth or salt in the water, as this can scratch the screen. Check out the video below for some cleaning tips to ensure long-term use of your side imaging fish finder. Ensure Installation is Correct - You need to make sure that you have installed your fish finder correctly; most importantly the transducer. The transducer needs to have a clear visual radar on both sides, so it can see clearly. Use the manual to make sure you install exactly how it states. Equally, wiring your device correctly ensures that you don’t get staccato power shortages. Start with the Default - Before getting too complicated, use your fish finder on its default settings to identify the things around you. Keeping it on this setting and traveling around, allows you to understand more easily what jetties, ramps, rocks, and fish look like underwater from your side angle. Record Your Images - By recording the images on the fish finder, you’ll be able to go back later and consider the settings in relation to the sonar. You can watch these recordings back and fiddle with the image to change scroll speed, sensitivity, sharpness, and contrast, so that next time you know the ideal settings. Understand Range - Your range function refers to how far the fish finder can reach outward. Narrowing the range to within your near distance allows you to see a clearer picture. Put Your Hertz in it - Adjusting your kHz depending on your purpose will give better results. Operating at 455 kHz allows you to get a vague first look at what’s going on under the water. Changing this to 800 kHz at spots of interest will give you a more detailed view. The video below covers how to use side scan technology during your fishing trip. If you’re on the prowl for fish, a side-imaging device will really help to get a view under the surface. While they need to be used during slow travel or stillness, side-imaging fish finders can produce high-resolution images that help give you a good picture of what’s going on under the surface. While many amateur fishers are simply satisfied with a side-imaging fish finder, many like to compliment it with a down-imaging tool as well. That said, with a good-quality side-imaging fish finder, you should have no trouble hauling in quite a catch. Justfished.com is a participant in the Amazon Services LLC Associates Program, an affiliate advertising program designed to provide a means for sites to earn advertising fees by advertising and linking to Amazon.com. Amazon, the Amazon logo, AmazonSupply, and the AmazonSupply logo are trademarks of Amazon.com, Inc. or its affiliates. Best Baitcasting Reels Under $100 – Budget Friendly Picks!